Rush the Court will be providing wall-to-wall coverage of each of the NCAA Tournament from each of the 13 sites this year. Follow our NCAA Tourney specific Twitter accounts at @RTCeastregion, @RTCMWregion, @RTCsouthregion and @RTCwestregion. Oregon’s reserves played an important role. 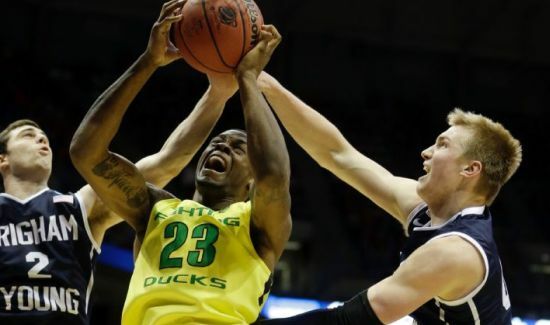 Dana Altman has used his bench very effectively all season and that continued against BYU. Redshirt sophomore forward Elgin Cook, a Milwaukee native, turned in a career-best performance at the Bradley Center. Cook finished the afternoon with 23 points and eight rebounds in just 23 minutes. The Ducks also received a boost off the bench from senior guard Jason Calliste. Calliste entered the afternoon as the team’s most consistent bench player, averaging 12.4 points per game in limited minutes, and that did not change against BYU. Calliste finished with 14 points and four assists in 26 minutes. The senior also displayed his free throw shooting prowess, as he was 11-of-12 from the charity stripe. To advance in March, you normally need good play from your bench to win. Cook and Calliste provided that against BYU and that is a major reason why the Ducks advanced to the round of 32. With Thursday night’s visit to Provo for Gonzaga vs. BYU, the trip was poised to wrap up much like it had started 16 days ago in The Pit – in one of college basketball’s loudest and greatest gymnasiums. BYU’s Marriott Center is the sixth largest home arena in the country and is oft-described as one of the toughest places to play out West. Still, though, I was unsure of what to expect. My curiosity/ignorance extended beyond the Marriott Center to both the university and Provo; the Mormon presence in town (98% LDS) would obviously be influential, but where exactly would the manifestations of faith appear in this college town – and college basketball atmosphere? BYU’s Marriott Center Has Long Been Considered An Unwelcoming Locale For Visitors, But Could It Still Be Underrated? I Vote Yes. Everyone was extremely nice in town. Provo is not the first place I’ve made this observation about, but the kindness here is ubiquitous enough to disarm someone unused to it (me). It didn’t matter if they were pumping gas or cleaning hotel rooms — everyone seemed legitimately happy with whatever it was they were doing at the time I ran across them. While it did feel a bit contrived at times, the friendliness was refreshing and welcomed by a weary traveler nearing the end of his journey. After a day of familiarizing myself with the affable denizens of Provo, I entered the Marriott Center expecting 20,000 of the most genteel college basketball fans you could find. Boy, was I wrong. I don’t want to say that the BYU faithful offered the most aggressive display of ref-riding I’ve ever seen, but they didn’t miss the mark by much. There were a couple of shaky pro-Gonzaga calls early, but the Cougars wound up +5 in free throw attempts, and Gonzaga bigs Sam Dower and Przemek Karnowski managed only 20 and 19 minutes, respectively, due to foul trouble. So while I didn’t find significant merit in the boisterous shouts of the fans, their relentlessness was both admirable and effective. More than anything else, home court advantage is for shifting close decisions from the referees in favor of your team; I cannot imagine an official being unaffected in the environment I witnessed there. I’m no Mormon, but I’m now pretty confident that LDS doctrines must not include any prohibition relating to the verbal treatment of basketball referees. Things are beginning to have a more familiar look as the WCC season passes the one-third mark: Gonzaga on top, with BYU and Saint Mary’s trailing closely behind. Early-season pretenders such as Pepperdine and San Francisco have been knocked back, if not out, and BYU seems to have overcome its first-week stumble into losses at Pepperdine and Loyola Marymount by rattling off five straight wins. Gonzaga has gotten Sam Dower Jr. back and is successfully integrating Louisville transfer Angel Nunez into its offense. Only the return of Gary Bell Jr. from a broken wrist keeps the Zags from fielding the team it envisioned at season’s outset. Saint Mary’s has Randy Bennett back at the helm after a five-game NCAA-imposed suspension, and the result has been two wins at home. The Gaels hope to welcome Garrett Jackson back this week after several weeks on the sidelines with a knee injury, which will give Beau Levesque some support at power forward. All the leaders seem set for the next part of the season, therefore, and only one game separates BYU and a game-and-a-half separates Saint Mary’s from the Zags. Let the games continue. Dower celebrated his return to the Gonzaga starting lineup with two monster games in Southern California, an effort that won him WCC Player of the Week honors. Dower was a perfect 7-of-7 against Pepperdine, which had a chance to take over first place in the WCC with a win, and added eight rebounds to his 18 points in a 70-53 rout. He matched that with a 28/14 effort two nights later against LMU, leading the Zags to an 82-72 win. Perhaps in recognition of Dower’s importance, the USA Today poll raised the Zags three spots from 24th to 21st. College teams use their pre-conference slates in a variety of ways, but debate usually centers on two approaches: build RPI and team character by challenging strong teams, sometimes on the road; or marshal team resources by playing a home-centric schedule with a modicum of challenging opponents. 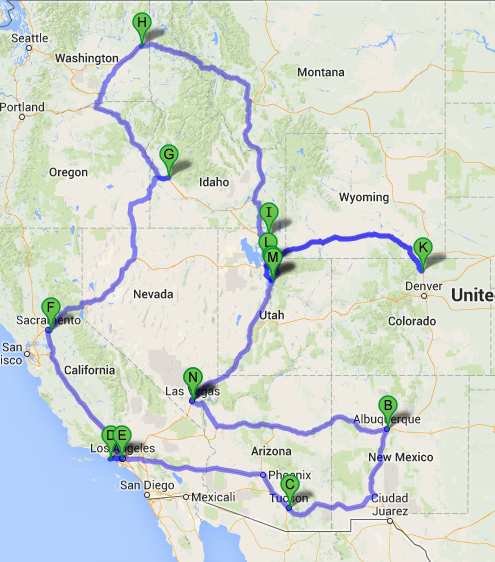 No conference exemplifies this split more than the WCC in 2013-14. BYU, donning Gonzaga’s suddenly-unused traveling clothes, has compiled the boldest preseason schedule by far, traveling to Stanford (112-103 win), Kansas City for a tournament (86-82 win over Texas, 75-62 loss to Wichita State), Utah State (85-74 win), UMass (105-96 loss), Utah (81-64 loss) and Oregon (100-96 loss). Straddling a home game against ranked Iowa State (90-88 loss), the Cougars have played seven games outside Provo, three of those against ranked teams. Other than a penchant for travel, however, BYU’s boldness hasn’t revealed much about what kind of team it will be in the WCC, much less the postseason, if there is one. For one thing, BYU lost four of those tough games and gave up a bucket-load of points (88.6 PPG), with three opponents topping 100. One could say the Cougars are battle-hardened but still unproven. 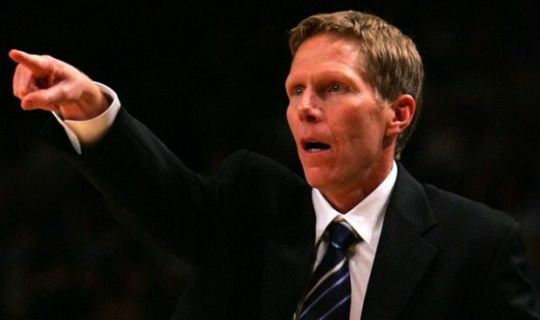 The polar opposite of BYU’s approach was taken by Saint Mary’s, which rattled off seven straight home wins, some over quality opponents (North Dakota State, Akron, Louisiana Tech) before venturing to Boise and conquering Boise State 82-74. Those who argue that only the road forges steel were given support by the Gaels’ 78-71 collapse against Frank Martin’s rebuilding South Carolina Gamecocks followed by a loss to Hawaii at the Diamond Head Classic. The Gaels will play George Mason on Christmas morning in the ignominious seventh-place game. From an at-large resume perspective, Saint Mary’s will need to leave the islands with at least one victory. Not only has the WCC posted an impressive .811 winning percentage (30-7) through games of November 20, but also some of its members have shown the capacity to turn the conference race into an interesting exercise. 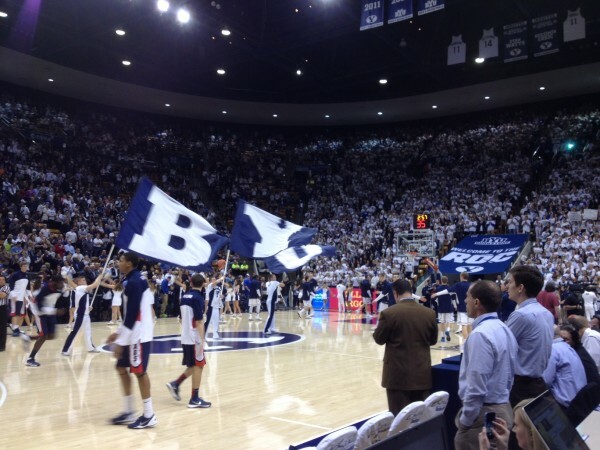 Before losing a gritty 90-88 home game to #21 Iowa State on Wednesday, BYU looked particularly strong. The Cougars have been revitalized by the return of Kyle Collinsworth after a two-year mission and the emergence of 6’9″ freshman Erik Mica as a force in the paint that will make it easier to forget Brandon Davies. Those two, combined with sizzling early-season play by Tyler Haws and Matt Carlino, have helped BYU score at a 90-plus PPG clip and sweep of Weber State, Stanford (on the road) and a couple of cupcakes. The loss to rugged Iowa State from the top-ranked (in the early going) Big 12 Conference served as a reality check for the Cougars, and they will get another test against Texas on Monday in Kansas City, but Dave Rose appears to have the fast-moving, high-scoring team he is known for. Saint Mary’s has done a lot to dispel those “What will we do without Matthew Dellavedova?” worries by posting a 4-0 record against strong competition. By cruising past Louisiana Tech, Akron and North Dakota State – all projected to be conference winners and go to the NCAA Tournament – the Gaels have done more than any other WCC team to boost the conference’s standing. Saint Mary’s slowed a little against Drake, not considered a force in the Missouri Valley Conference, but that 67-63 win might have been the residue of playing four games in the season’s first eight days. The Gaels’ early-season efforts put them at number three nationally in the Ratings Percentage Index (admittedly a small sample of games played), but, more importantly at 19th nationally in strength of schedule. The next closest WCC competitor is Pacific’s SOS at 65th nationally and Gonzaga’s one spot behind. Brad Waldow has been a beast in the paint for Saint Mary’s, posting two double-doubles and averaging 19.3 PPG and 8.3 RPG. Veteran guard Stephen Holt has proved Delly-like in his ability to find Waldow in good position to score, has posted a nearly three-to-one assist to turnover ratio (22 assists, eight turnovers) and is scoring at 12.3 PPG. A random late September day was an odd time for the tried-and-true “baseball model” argument to once again rear its ugly head, but Big Ten commissioner Jim Delaney did his part in making a discussion of one-and-done headline-worthy on Wednesday. His stated premise is one that we’ve heard hundreds of times before: that the NBA (and interestingly, he also mentions the NFL, which is usually immune from this argument) and colleges should work together to allow elite basketball and football players to enter the “pro ranks” — whether through the minor leagues, IMG training, or whatever else — immediately out of high school. As he puts it, “if an athlete wants to professionalize themselves, professionalize themselves.” Forgetting the dripping irony implicit in comments from someone who has done more to “professionalize” his conference than any other administrator, he relies on the value of collegiate “brands that have been built over 100 years” to suggest that college athletics will be just fine without the star power of Nerlens Noel, Anthony Bennett, Johnny Manziel, Robert Griffin III, and the rest. Here’s the thing: they won’t be. While it’s true that Michigan fans will continue to watch Michigan football in the same way that Kentucky fans will watch Kentucky basketball regardless of the talent wearing those uniforms, the rest of the country will not. Casual fans of both sports want to see stars, the “next big thing,” and as we already know from the awful preps-to-pros era of college basketball (roughly 1997-2005), the game suffered as a result of the loss of its best players before they ever made it to campus. Now, this isn’t to say at all that league rules forcing basketball players to spend a “gap year” between high school and the pros in college, overseas, or in the D-League is fair to them either — the above argument relates more to what’s best for the sport of college basketball rather than the elite players themselves. As such, Dana O’Neil gives the flip side of the debate, which is to ask what true positive effect does that single year between the ages of 18 and 19 have on NBA Draftable players like Andrew Wiggins, Julius Randle and Jabari Parker? She figures that Kentucky’s Nerlens Noel lost approximately $2 million as a result of his knee injury last season, but she doesn’t address the money that #1 pick Anthony Bennett made for himself because of his one successful year at UNLV (the same dichotomy might be shown in a comparison between the stock drop of UCLA’s Shabazz Muhammad versus the rise of Kansas’ Ben McLemore). Still, her point about the NBA protecting itself from draft mistakes is a salient one — teams hope to avoid the next Kwame Brown by evaluating men playing against other men — but her underlying question as to “the point” of the one year in college seems forced. The point is that the one-and-done rule is actually better for nearly all parties involved except for the tiny percentage of highly-evaluated high schoolers whose stock ends up dropping during that one season — it’s better for the NBA, its teams, college basketball, its teams, and even some of the players themselves (the ones, like Anthony Bennett and Kyrie Irving, whom it helps). Two years would be even better. We mentioned yesterday that SI.com‘s Andy Glockner is unveiling his top 20 current college basketball programs this week, using a methodology that includes historical and contemporary success, sustainability, budget, facilities, league affiliation, fan base, and recruiting pipeline. The biggest surprise in our view in the #16-20 grouping was the inclusion of Illinois at #19, but his latest group has a couple more interesting placements. At #15 was Memphis, which no doubt has a great fan base and facilities, but my goodness, it’s tough to swallow a program that has underachieved relative to its talent in each of its head coach’s four seasons on campus. The other peculiar placement is certainly UCLA at #12, behind a football-first school of Florida at #11 and back-to-back Sweet Sixteens Indiana (somewhere in the top 10). With a brand new Pauley Pavilion, this is probably based on some hesitation about Steve Alford as the new head man in Westwood, but if he can prove to have even an average recruiting touch in Southern California, it would be hard to buy this program falling outside the top 10. We’re looking forward to his rankings on Thursday — how will he handle North Carolina and Syracuse — do they fall into the second five behind Duke, Kentucky, Kansas, Louisville and Michigan State? Arkansas‘ Bud Walton Arena suffered a good bit of water damage due to torrential rains in the area last Friday, and as a result the men’s and women’s basketball teams have been forced to hold preseason practice sessions at the school’s PE/Rec building. While flooding of a school’s home arena isn’t a typical occurrence, the outsourcing of the team’s workouts to the intramural courts highlights the school’s need for a permanent basketball practice facility. Arkansas remains the only of the 14 SEC programs without one, and the Razorbacks’ 15-year long dalliance with mediocrity is partially to blame, especially from a recruiting standpoint. The damage to the arena isn’t expected to be long-term, certainly good news for the Fayette-nam Rim Rockers and all the other intramural stalwarts tired of ceding their best courts to the SEC’s most middling program. 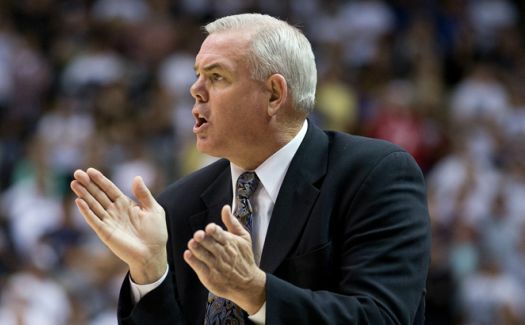 One of the best health stories of the past few years in our sport has been that of BYU’s Dave Rose. He was one of the very small percentage of survivors of pancreatic cancer, having a large tumor removed from the organ back in 2009. He recently spent another few days in the hospital after a six-month scan revealed a few more cancerous spots on his pancreas, and the Salt Lake Tribune filled us in on how he is feeling heading into a new season. Rose has proven to be someone with an eminently positive attitude, and it shines through in the piece. Still, a relapse from his remission with such an aggressive disease is cause for concern. We will certainly send equally positive thoughts his way, and hope for the best as his team heads into what should be a quite promising season on the hardwood. 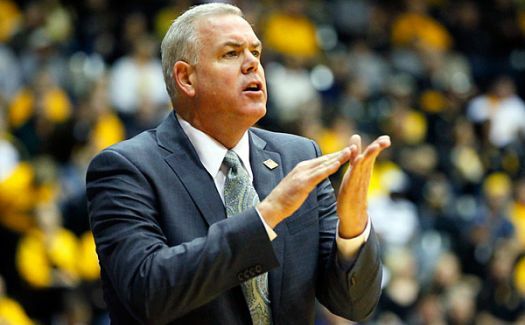 We are still trying to piece together the news about BYU coach Dave Rose, who reportedly had “cancerous spots” removed during a semi-annual screening that he has after being diagnosed with a pancreatic neuroendocrine tumor in 2009. By its nature, this finding was likely asymptomatic and given the vague nature of the description we do not even know where these “cancerous spots” were located in his gastrointestinal tract. However, based on the report the intervention appears to have been successful and Rose is expected to be back with the team by October 7 when they officially start practice. 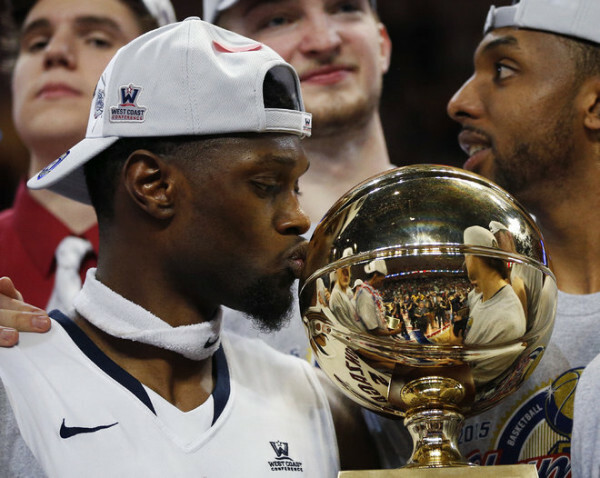 After a year spent in NCAA Tournament purgatory for their low APR scores Connecticut seems primed to potentially make a run this coming March. Those plans appear to have taken a slight detour after the school announced that forward Tyler Olander had been suspended indefinitely for what was initially reported to be a violation of team rules (later found out to be a DUI). Although Olander put up modest numbers last season (4.3 points and 3.7 rebounds per game) he was expected to play significant minutes for a team that is lacking on depth on the inside. We are unsure of how long Olander’s suspension will last, but we suspect that it will be for at least a few games since Olander was also arrested in March for trespassing while on Spring Break in Panama City. One would think that being the head of a program that was embarrassed in front of a national audience less than half a year ago would you a pariah, but that does not appear to be the case of recently disgraced Rutgers athletic director Tim Pernetti. Pernetti, who was widely blamed for the school’s failure to react to Mike Rice’s actions, has somehow landed a job as Chief Business Officer of New York City Football Club. Now we have no idea how prestigious the job is (obviously it is a step down from Rutgers), but the fact that he was able to land a job with a professional sports team (ok, they don’t start playing until 2015) speaks volumes for how easily administrators and business people are willing to overlook such ridiculous behavior. We have been critical of the ways that colleges recruit and get commitments out of kids who are often still in middle school. So it may come as a surprise that we support the decision by Bradley to sign two brothers who are still in elementary school. The decision to sign the brothers–Johnah and Jarrett Sahrs–is not the result of some ridiculous YouTube video or even some coach looking to make a recruiting splash, but instead it is the result of five year-old Johnah’s 18-month battle with a high-grade neuroblastoma that he has fought with Jarrett, his nine year-old brother by his side. Obviously, these two have much bigger things to deal with than being part of the Bradley basketball team, but it was a nice touch by the school to help lift their spirits. If you are a Louisville fan and/or want to support a good cause, the school is selling pieces of this past season’s Final Four floor with proceeds going towards pediatric cancer research. With prices ranging for $99.99 for a 9″ x 12″ plaque with a section of floor on it to $499.99 for a 18″ x 13″ piece signed by Rick Pitino (“limited” to only 1,000 pieces) there is a pretty good chance that this sale will top the $200,000 that Kentucky reportedly earned last year for a similar sale. While the $499.99 price might seem ridiculous to some it is going towards a good cause and given the state of the economy (or at least the stock market) we wouldn’t be surprised to see many of those pieces sell. 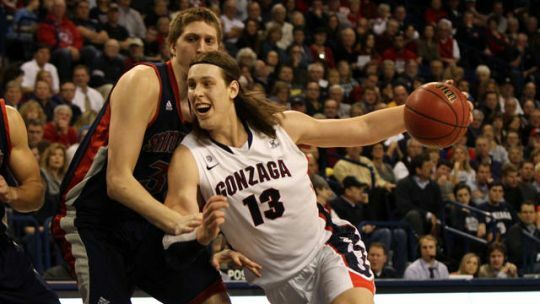 Killer App: The preseason buzz about Gonzaga’s prospects in 2012-13 centered around the expected emergence of Sam Dower. With the graduation of sturdy post presence Robert Sacre, currently playing for the Los Angeles Lakers, Dower would step out of Sacre’s shadow and become the centerpiece of the Zags’ offense. Hasn’t happened. Kelly Olynyk, who took off last season to refine his game and body, has blown into the WCC season as the conference’s most dominating player since Omar Samhan of Saint Mary’s in 2010 and Adam Morrison of Gonzaga in 2006. With back-to-back 30-point performances in the Zags’ wins over Santa Clara and Saint Mary’s last week, Olynyk underscored the conference’s somewhat belated announcement that he was Player of the Month for December. His stats are impressive enough – 18.1 PPG on 66.2% field goal shooting – but it is his combination of skills that has made him seemingly unstoppable. He combines a guard’s ball-handling ability in a toned seven-footer’s body with a deadly outside shot and an evolving array of post moves and drives down the lane. It’s a combination that no one in the WCC has figured out how to combat. 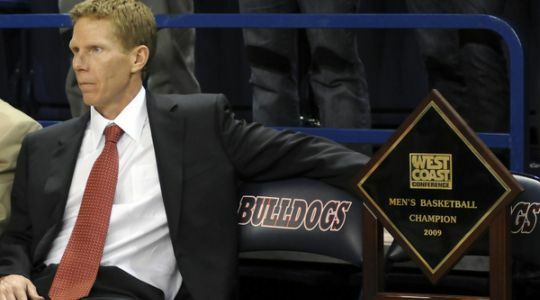 Gonzaga (3-0, 16-1): With only one game last week, the Zags were locked and loaded when Saint Mary’s flew into Spokane for an ESPN-featured game on Thursday (January 10). They looked it in an overpowering first half, running up an 18-point lead (46-28) and sending the home crowd into a heightened state of delirium. It was delirium tremens in the second half, however, as the Gaels put up 50 points and moved to within a point at 79-78 with 14 seconds left. With no other option but to foul, however, the Gaels fell short and the Zags prevailed, 83-78. Zags supreme? The steady rumble of Gonzaga media support reached a higher pitch than usual this preseason, perhaps fueled by the Zags’ strong showing in the NCAA Tournament last March (dispatching West Virginia 77-54 and taking Ohio State to the wire before succumbing 73-66). With everyone back and anticipation building over incoming 7’1″ freshman Przemek Karnowski, the Zags’ success this year seemed foreordained. And their fast start, humbling West Virginia for the second time in eight months, 84-50, and roaring through the Old Spice Classic with wins over Clemson, Oklahoma and Davidson, amped up the volume. By the time Gonzaga faced Illinois last Saturday in Spokane, it was off to its best start in school history at 9-0 and ranked #10 in the AP poll. The Illini, however, under new coach John Groce, have dreams of their own, and were also riding an undefeated start (9-0) and high AP ranking (#13). Illinois spanked the Zags 85-74, temporarily derailing the express train to the Final Four, but didn’t dislodge Gonzaga from the top spot in the preseason WCC poll. Welcome back, Traz and Kevin: If ever a team was glad to get back two stars temporarily sidelined, it was Santa Clara and seniors Marc Trasolini and Kevin Foster. Without Trasolini out of action all last year because of a knee injury, and without Foster for the last eight conference games following a drunken driving arrest, the Broncos stumbled to a humiliating 0-16 record in the WCC. Things are looking up for Kerry Keating’s Broncos this year, thanks to a heavy dose of Foster and Trasolini. Foster was named WCC Player of the Month for November after averaging 21.7 points per game, moving past Kurt Rambis to become Santa Clara’s all-time leading scorer and moving to third-place in WCC history for made three-point baskets. Trasolini has also been stellar, averaging nearly 15 points and 7.2 rebounds per game as Santa Clara fights back toward respectability. Cousy for Delly? Saint Mary’s Matthew Dellavedova was among the final five candidates for last year’s Bob Cousy Award given to the nation’s outstanding point guard (North Carolina’s Kendall Marshall won the award in 2011-12) and has been nominated again this year. Can Delly buck the headwinds from players from larger conferences (e.g., Aaron Craft of Ohio State, Phil Pressey of Missouri, Peyton Siva of Louisville) and capture the prize this year? He seems to be building the type of season that would make a great case for it, leading the Gaels in scoring with 18.4 points per game and dishing out 5.6 assists per game, but his non-statistical contributions are even more compelling. Without muscular Rob Jones in the Gaels’ lineup this year, Dellavedova has shouldered both the scoring and leadership roles, twice scoring more than 30 points (32 in a win over Drexel, and 31 in a win against Drake) and holding his team together until newcomer Matt Hodgson settles in on the front line. A lot may depend on how well Saint Mary’s does in the postseason, and Delly will need some help if that is the deciding criterion.